All kidding aside, welcome to this tutorial on Kopernicus modding. So, let me teach you how to use perhaps one of the most creative and powerful mods there is for KSP: Kopernicus. While you can simply download packs, some of you may be willing to give it a try for yourself. However, many of you probably have no idea what all those confusing lines and numbers do. I will explain that here. In the horrible joke above, I did already show how to start your config. I will repeat the important part and filter out the joke below. First off, you need to create a config file. Simply open notepad and click 'save as'. Then save it as "(Yourplanetname).cfg". Remember to add the .cfg part to the name! Most of the time it will result in a config file. If not, download a pack like Outer Planets Mod or New Horizons, copy and paste a config and delete everything inside. So, now you've got your config file! The next step is adding everything Kopernicus needs to create a planet. Now, what everthing does: the '@Kopernicus:AFTER[Kopernicus]' forces KSP to load your planet(s) after Kopernicus itself. Otherwise, it would load your pack with Kopernicus still inactive, and thus Kopernicus will not load your pack since it has already been loaded by KSP. Now, we need to add some basic information. The planet's name speaks for itself, it is the name that will be seen in-game. The 'cacheFile' is optional: Kopernicus generates a cache file by default, but with the cacheFile line you can specify a filepath and force Kopernicus to generate the cachefile(s) in a specific location. For instance, you can use the following filepath: "MyFirstPack/CacheFiles/MyPlanet.bin". As you can see, you should not add 'GameData/', Kopernicus automatically searches in the GameData folder. Also, make sure that, at the end, you add the name of your planet plus '.bin'. Never ever forget to add '.bin'! - removePQSMods = (PQSmod names)' to remove specific PQSmods from the templated planet that your planet does not need. As you can see I also added 'removeOcean = true'. I think that line is pretty self-explanatory. Now we will set the physical properties of your planet. description = First planet you ever made! You can be proud of yourself. radius = 7000000 //Distance from the planet's core to it's surface. How 'big' is the planet? isHomeWorld = false //Very important! As you can see I've added some notes to the config. Do not include those in your config. Anyhow, the 'description' defines the info displayed when clicking the info-tab in the map view in-game. 'tidallyLocked' determines if a planet's surface does not move relative to the parent object: it's rotation period is identical to it's orbital period. 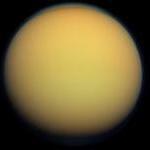 'initialRotation' determines how a planet is rotated on start. 'isHomeWorld' is for debugging purposes. Then there's 'timewarpAltitudeLimits'. This entry determines what timewarp speed is unlocked at what altitude. For instance, in the example code the time warp speeds 5x and 10x are unlocked at 30000m above sea level. It's already starting to look like something, isn't it? Now, we must specify your planet's orbit. eccentricity = 0.02 //Orbit eccentricity, how elliptical is the orbit? Again, I've left some notes in place. The 'referenceBody' defines what celestial body your planet orbits. You can use stock celestial bodies like Sun, Moho, and Dres but you can also use your own planets or planets added by another mod. Now, the following entries are optional: 'type', 'fadeStart', 'fadeEnd', 'shininess', 'specular', 'rimPower', 'rimBlend', and 'Gradient'. Nevertheless I will explain what they do. 'type', 'fadeStart' and 'fadeEnd' can be used to make things look just a bit better. 'type' examples are 'Atmospheric' and 'Vacuum'. 'shininess' and 'specular' can add a little touch to a planet's scaledspace such as an icy glow. 'rimPower', 'rimBlend' and 'Gradient' create a colored atmospheric rim around your planet. For instance, Eve has this purple glow around it. Furthermore: under 'Gradient', you see '0.0', '0.5' and '1.0'. For '1.0' you must copy exactly what I wrote, and for 0.0 and 0.5, just add the colors you want. 0.0 and 0.5 define the atmosphere rim color on opposite sides of the planet, which color defines which side I do not know for sure. It just needs some trial and error. Now, the most important entries: 'texture' and 'normals'. 'texture' needs a filepath that leads to the texture file you made for your planet. It will glue this texture over the templated planet. To make sure that your planet neither looks like a recolored Eve for example nor a flat ball, the 'normals' entry needs a normal map in the 'DXT5_nm' format. The normal map will make your planet look 3D in scaledspace rather than a perfectly smooth orb. If you are uncertain how to export your normal map as 'DXT5_nm', I will do a tutorial on that too. It can be done with Photoshop, but I've managed to do it with GIMP, which is absolutely free! Futhermore, you do not have to save it as DXT5_nm for your normal map to work, it's just that normal maps that are not saved as DXT5_nm create an annoying lighting issue in ScaledSpace. It's not gamebreaking, it just looks ugly. If you want to create a planet that has an atmosphere, then do not skip this step. Otherwise, go on. Looks quite confusing, doesn't it? No worries, I will explain everything. Let's begin with 'ambientColor' and 'lightColor'. 'ambientColor' provides a slight tint on the spacecraft. For instance, take a good look at your spacecraft when you're on Eve, and you will see that your craft is tinted slightly purple. That is ambientColor at work. 'lightColor' defines what color the atmosphere is. lightColor is a bit glitchy and needs some trial and error to work. Furthermore, the red and blue are swapped in the lightColor entry, so lightColor needs it's color in the following format: Blue, Green, Red, Alpha. 'enabled' is pretty self-explanatory, and 'oxygen' determines if the atmosphere of your planet has oxygen. It must be either 'true' or 'false'. An atmosphere that contains oxygen allows the use of air-breathing engines, like on Kerbin and Laythe. 'altitude' determines the maximum altitude of your atmosphere. Let's take Kerbin for example. On Kerbin, the 'altitude' is 70000m. Laythe = 50000m, Eve is roughly 90000m, etc. Then 'pressureCurve'. That one confuses me too. It determines the atmospheric pressure at certain altitudes. There is a calculator that can calculate the keys for you, but you will have to ask @KillAshley for a link. The calculator can also calculate the 'temparatureCurve' and 'temparatureSunMultCurve' for you. As for the other entries: 'temparatureSeaLevel' determines the temparature at sea level in Kelvin, and 'pressureCurveIsNormalized' should be set to false. VertexHeightMap needs a heightmap to function. It is possible to create planets that do not need heightmaps, but that is more advanced stuff, and this is about the basics, so we'll stick with heightmaps for now. 'offset' is basically how elevated the terrain is relative to your planet's sea level. This can be used to fine-tune the sealevel to make sure the coasts are all correct. 'deformity' basically asks 'how high do you want the tallest mountains to be?' and asks an answer in meters. In the answer I chose 3000.0m. Set 'scaleDeformityByRadius' to false, and set 'enabled' to true. Then there's 'order'. PQSMods have to be loaded in a specific order. The lower the number, the earlier it is loaded. You can use this to specify which mod must be loaded in what order. Set this one to 20. Alright, next mod: VertexColorMap. This one is optional. 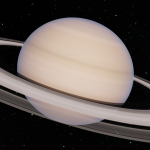 Only use this one if your planet is colored diffrently than it is in ScaledSpace. Probably the simples PQSMod out there. It applies the color map we used for ScaledSpace updating earlier to your planet's surface. Next mods are a bit more complex. Feel free to copy them if you'd like. All the way until the last '}' has no more tabs or spaces in front of it. But, you can still add an ocean. In that case, do not close off everything. We will continue where the last PQSMod example code ended. First off, the example code. Long, confusing code, eh? Let me explain: leave 'maxQuadLengtsPerFrame', 'minLevel', 'maxLevel' and 'minDetailDistance' as is unless you know what you're doing. With 'oceanColor', you can set your ocean's color. Just input the wanted color, then copy that code and replace the color codes under 'Material' and 'FallbackMaterial'. Just punch in the same numbers. Then, the 'Mods'. I don't recommend changing anything under 'AerialPerspectiveMaterial' unless you know what you're doing. But now it gets more interesting. Do you see 'Watermain', under 'OceanFX'? There, we need to specify the ocean's texture. You can use the BUILTIN textures specified in the example to get the same ocean textures as Eve, Kerbin and Laythe, or you could make your own ocean textures and create filepaths to those. Again, I don't recommend touching the rest of the values unless you know what you're doing. Then there's the 'Fog' mod. This mod adds underwater fog. Just punch in the same colors as 'oceanColor'. But, there is one more, simple thing you can do to make your pack over 1000 times better! How, you might ask. The answer is simple: Kopernicus has an incredible feature called OnDemandLoading: it will only load the textures of planets nearby, so if you would be orbiting Duna for instance, it would only load the textures of Duna and Ike, and won't load the others, such as Moho, Dres, and Jool. - All textures must be stored in a folder called 'PluginData'. There can be multiple PluginData folders, but as long as all textures are saved in a folder called PluginData, you're good. - All texture formats must be specified. This step is easy: at the end of every 'texture-filepath', add what format it is: .dds, .png, .jpg, etc. And done! You are now using OnDemandLoading, which means that everyone using your pack will experience exploration with memory optimized. And done! Again, make sure everything is closed off properly. I will soon write another tutorial on how to export your maps correctly through GIMP as well as more advanced Kopernicus stuff: procedural planets (heightmapless planets) and biomes. I hope this guide helped. If so, please let me know. Fifty kinds of awesome. I can't click 'like' enough times. Could I have a look at your config? I might, I repeat might be able to help you. I think the issue has to do with incorrect pressure keys but I have to know for certain. If you could post your config here, I'll take a look, perhaps the issue is something else. Oh, and say hi to the Kraken for me. If you'd take a look at my youtube channel, you'd find a video in which I got a killer Kraken attack: Bill or Bob Kerman (I don't remember who my pilot was and I'm too lazy to check ) turned into a bloody roller coaster travelling at several kilometers PER SECOND. Awesome. A pretty good explanation of the basics for Kopernicus. Side note: You don't need the flightGlobalsIndex bit at all. They get overwritten when the planets are loaded, I don't even know why the parser is still there. May I take a guess? I think they're still here so older packs can keep using them. 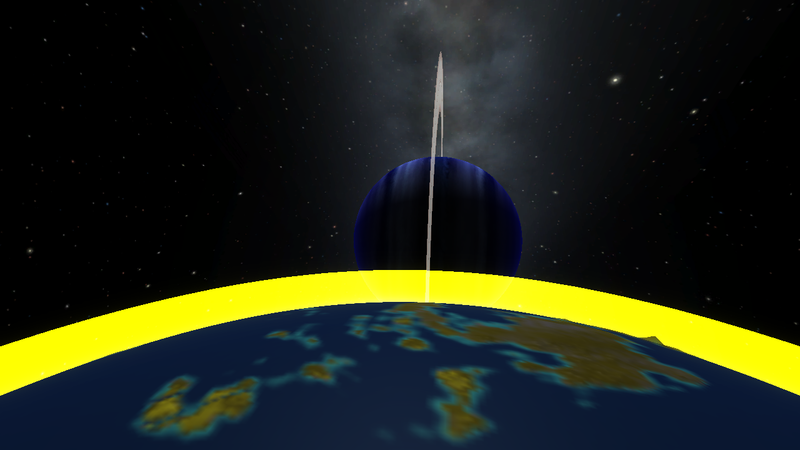 Look at what happened when Capt removed the F.G.I from the OPM planets: crafts' orbits changed. I believe it's for compatibility and to prevent safe file breaks. Nevertheless I will remove the F.G.I from all my codes and update the guide. description = One time when astronomers were looking at Sancho, they found something that looked like a squashed comet. They announced that there was a comet about to hit the gas giant. But much to the disapointment of the Kerbal plublic, it turned out to be an icy moon with giant cryovolcanoes. And a subsurface ocean. And life. If the config looks a bit weird, it's because I edited it with both regular notepad and Notepad++. if I do it correctly, there aren't any problems with the moon not showing. Those pressure keys ain't gonna work, son. You also don't have the temparatureSunMultCurve and your temparatureCurve is whacked up. Add these numbers, then try again. And no skipping the derivs, otherwise it'll crash again. Also, remove the flightGlobalsIndex on every planet before you release the pack, it is unnecessary and not recommended. It helped big time in explaining what the sections of the config are actually for, valid values, etc etc. I'm having trouble with my heightmap texture (it's one that worked when I tried this last month .. no. frickin. clue. why it would suddenly stop now ...) but that's unrelated. I would if removing them wasn't a big save-breaker. Just look at what happened with version 1.9.0 of OPM! But thanks for the help! I would if removing them wasn't a big save-breaker. Just look at what happened with version 1.9.0 of OPM! Which is exactly why you should remove the flightGlobalsIndexes if the mod is still unreleased: to prevent stuff like that. Well, my mod is already released, but the version I'm working on will be the official, final release of the Cervantes/Mu Arae solar system. So I guess I can remove the FGI values before it becomes very popular. Take Laythe for example: Laythe's gravity is 0.8g. If you'd move it away from Jool and give it a separate orbit around the Sun, Kopernicus updates Laythe and gives it a planet-sized SOI rather than a moon-sized SOI. description = A Kerra-Class moon of Quijote, Lamancha is by far the most habitable object ever found outside our solar system. Spectral analysis have show the presence of multicellular flora and unicellular bacteria. I do have the eight needed ocean textures, but I don't know if I'm supposed to put a "Go-To Text" (Planet/Oceans/sea-water8) or a BUILTIN texture or whatever. This config has also been edited with Notepad++, along with all of my other textures. It looks good, have you tested it in-game yet? Yeah, multiple times (aka every time when I opened the Tracking Station to check on/edit my planets with Kittopia, so, like, 10 times?). Maybe I should try the BUILTIN-thing. Yes, try that then see what happens. About the ocean, could you land on your planet then try to move the camera into the terrain? While rubbing the camera against the rocks, sometimes you may catch a glimpse of what's underneath the surface. If you can't see an ocean underneath the surface, then there is an error in your config, and if you do see an ocean, you need to alter the heightmap's offset. In that case you need to lower the offset even further, then go into KSP and fine-tune it. As for the atmosphere, may I ask what color you were going for? I did check under the terrain, and yes, I saw an ocean! I was going to ask you if KB's height map offset was sort of like that in KC - putting in values and changing them until you get a good result. Apparently, I was right. I'm surprised -4988.56 isn't enough. I'm trying to make an atmosphere with similar colors to Kerbin's. Instead, on the surface, it is the same blue as the orbit color. Which values spot (R, G, B, or A) do I alter to make the color lighter? I honestly do not know. It has to do with the lightColor value, I know that much, but the lightColor value's behavior is a mystery to me as well. I use lots of trial and errors to get the colors right. Perhaps you should ask @Thomas P. or @KillAshley, they are probably able to help you more than I can with the lightColor value. EDIT: I took another look at the config. In lightColor, the red and blue are swapped, so the result is indeed a yellow atmosphere. Also, set the alpha to 0.5, it often works a lot better. @The White Guardian The atmosphere and oceans show up perfectly! I really want to add Kerbin-like ground scatter (trees and grass) to Lamancha, but how do I? Also, I'm having some issues where reentry effects start at the top layer of the atmosphere, and I'm not majorly slowed down near the surface. What's going on? The error should be in that same config file I posted the other day; the atmo values have not changed at all. Pressure keys. Could you run another test and this time write down the following stuff: the speed at which you enter the atmosphere, and in the map view/tracking station, select Lamancha, go to the properties (middle tap on the right of your screen), scroll down to atmosphere and write down the pressure. Could you give me that info? As for the scatter, I honestly do not know that myself. Perhaps @Thomas P. or @KillAshley can help you with that. I remember all of that information. The atmosphere starts at 65 kilometers and has a pressure of 0.95...... atm. The reentry effects start at 62-63 km when I'm going about 500-1,000 meters per second. With a vessel similar to Kerbal 2 (the small one, I get those crafts mixed up), I'm slowed to about 30-90 m/s, but start to increase speed at around 5-7 km, even with a parachute. Even if my craft is tiny, has four large parachutes, and has the largest heat shield, the minimum speed is still fast, at 25 m/s. I can only advise you to enter new pressure curves and see if it helps, I'm afraid. hi. I have a problem. When i was testing my planet something weird happened. The ground textures and space textures are completely different and not only that but the ground textures are much higher than the space textures. radius = 78000 //Distance from the planet's core to it's surface. How 'big' is the planet? eccentricity = 0.0 //Orbit eccentricity, how elliptical is the orbit?